What to look for when buying a used GMC Terrain? The GMC Terrain is a midsize crossover-SUV produced by General Motors that replaces the now-defunct Pontiac Torrent. The Terrain is slightly smaller than the Acadia and is the smallest SUV in the GMC lineup. It has several things in common, in terms of engineering, with the Chevrolet Equinox. The Terrain entered the market as a 2010 model year vehicle. The most sought-after Terrain models are those with the Denali trim, with its distinctive grille and very upscale accoutrements. The Terrain Denali was introduced in 2013. A refresh of the Terrain was given in 2016 and that included a model year specific Nightfall edition, which has proven popular as well. The GMC Terrain has both a four-cylinder and a six-cylinder engine choice with the V6 being most popular. Front-wheel drive is standard and four-wheel drive is available. Safety ratings have been very good for the Terrain as well. The Terrain is also noted for its upscale fitment and style. Competitors in the segment are many, however, and there are many great options among them on the used car market. The ever-popular Honda CR-V is always a good choice as is the Mazda CX-5. The Ford Escape can be a good alternative, though it is plagued by a reputation for bad reliability. The less expensive Hyundai Santa Fe Sport is another good option. For more off-road friendliness, the Jeep Cherokee is a solid choice. Among these, though, the GMC Terrain holds itself well thanks to its strong presence and upscale appeal. What is the average price for Used GMC Terrain? How many are for sale and priced below market? What GMC Terrain model year and mileage can you get for your budget? Where does used GMC Terrain rank in comparison to competitor vehicles? What Is The Average Price Of A Used Gmc Terrain By Model Year? What Is The Average Price Of Competitor Cars To The Used Gmc Terrain? What Is The Average Price Of Used Gmc Terrain In The Top 10 Cities? The 2019 GMC Terrain carries on with the ground-up redesign for a new-generation of the crossover that was introduced last year. Almost everything about the Terrain was improved, especially in driveability and comfort. Efficiency is also improved thanks to some lightweighting and downsizing, but not at the expense of passenger space or cargo room. The 2019 Terrain has few rivals, as is the case with many GMC models, sitting somewhere in the premium-but-not-quite-luxury segment also occupied by sister company Buick. Compared to the lower-end model trims offered by rivals, the GMC Terrain will appear expensive, but when apples-to-apples comparisons are made between those rivals' upper trims and the Terrain, the point of the GMC brand will make sense. The 2019 GMC Terrain deserves to be on more people's shopping lists for its excellence and higher value orientation than many might assume. 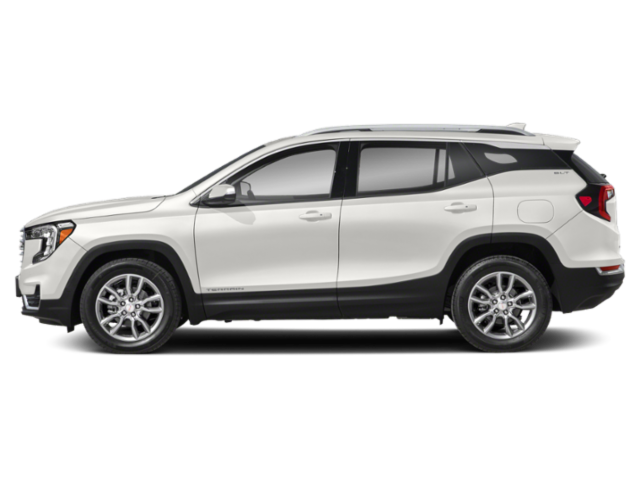 The 2019 Terrain has three engine choices, four trim levels, and seating for up to five. The GMC Terrain is all-new for 2018, having received a ground-up redesign to bring it into a new generation. The Terrain has improved in almost every way, despite being smaller and lighter in weight than its predecessor. The main improvements are to driveability, comfort and efficiency, without loss in passenger or cargo room. The 2018 Terrain sits in a place with few rivals, where shoppers will be required to look differently. Base model versus base model, the Terrain will look expensive compared to some lower-end rivals. But in equipment-to-equipment comparisons, it will often come out ahead in terms of what's included for the price. Its nearest competitor is either a more expensive top-end model from another manufacturer or a more luxurious option from its sister company Buick. For those reasons, the GMC Terrain should be on more shopping lists than it likely is. The new 2018 Terrain is offered with three engine choices, four trim levels, front-wheel or all-wheel drive, and seating for up to five. The 2013 GMC Terrain is a five-passenger compact crossover SUV that is essentially a more upscale Chevrolet Equinox. For 2013, the big news is the addition of the top-line Denali trim, as well as a new V6 engine with more power. Competition for the GMC Terrain includes the Ford Edge, Nissan Murano and Hyundai's redesigned Santa Fe Sport.